Unfortunately, none of this included us, *the* Hispanics, so this blog won’t be shedding any more ink here. 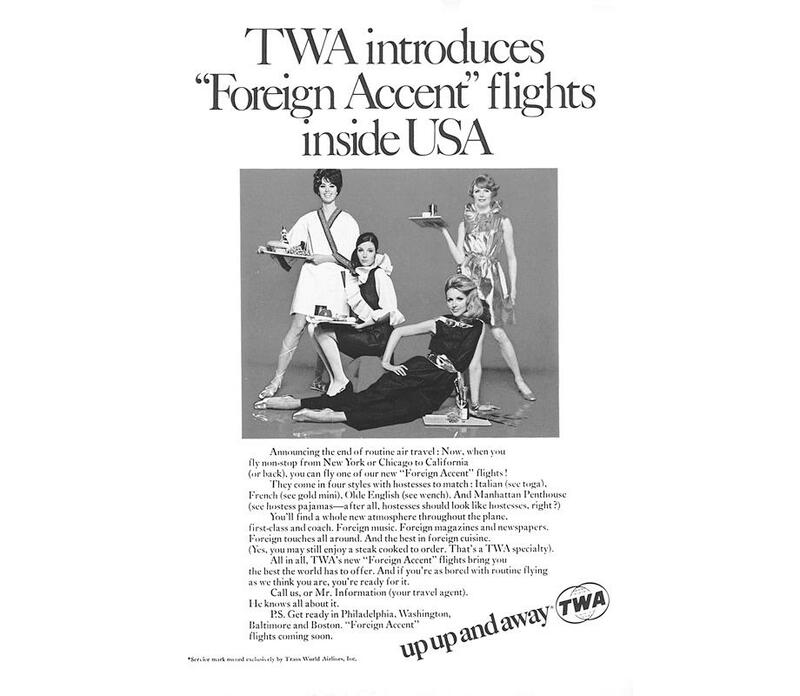 This entry was posted in Awkard homages, California, Language, Marketing & Advertising, Stupid propositions and tagged Advertising, airlines, foreign accents, marketing, TWA. Bookmark the permalink.